We have a the largest selection of Fairy Tale Character Costumes and Accessories in stock in the Dallas Area. 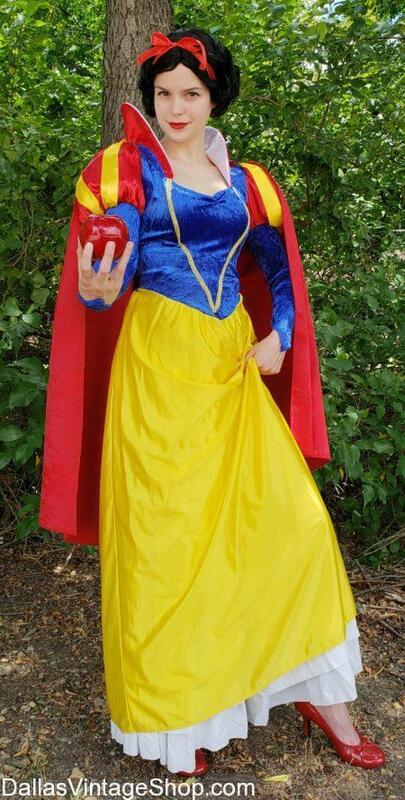 This Fairy Tale Princess, Snow White Costume is the Classic Fairy Tale Character Outfit. You will also have Popular Fairy Tale Characters outfits inspired by Popular TV Shows & Movies. Here, you can create more realistic or fantasy versions of your Fairy Tale Characters. Get Cosplay Fairy Tale Characters, Medieval, Renaissance, or Steampunk versions of many Fairy Tale Characters. We offer Complete Fairy Tale Character Costumes or just the pieces you need. If you want Supreme Quality Fairy Tale Characters or more Economy versions, we can help. We have every Fairy Tale Character you can imagine for Ladies or Men, in stock, all year round.